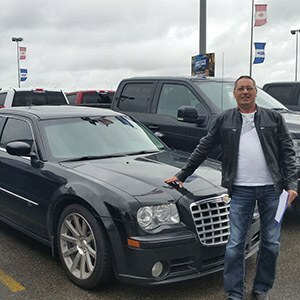 Speed is our company nickname and Alonzo experienced that first hand, leaving a smile on his face after we got him into a Chrysler 300 in record time. 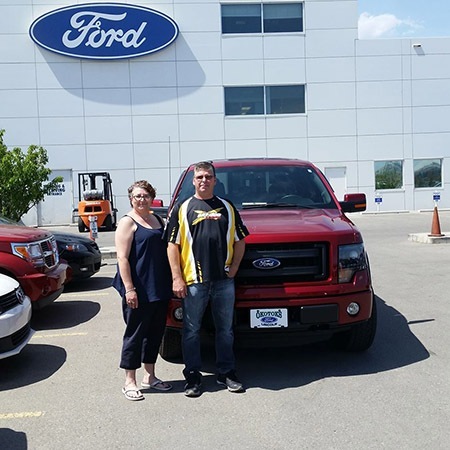 Darcy and Koreen heard about Cavalcade’s auto acceptance program from a family referral and made the long trek from Lac La Bische to pick up a 2014 Ford F-150. They told us they came because they trusted Cavalcade to accurately describe the truck. 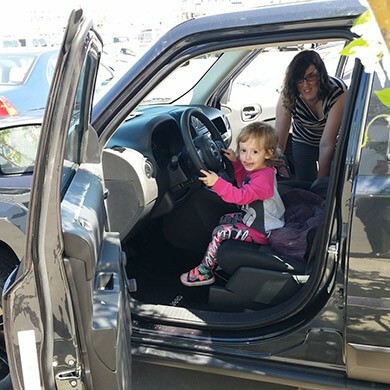 Laurie has had 2 different vehicles with Cavalcade and her granddaughter got to sit in Grandma Laurie’s brand new 2015 Jeep Patriot before Laurie drove away happy. 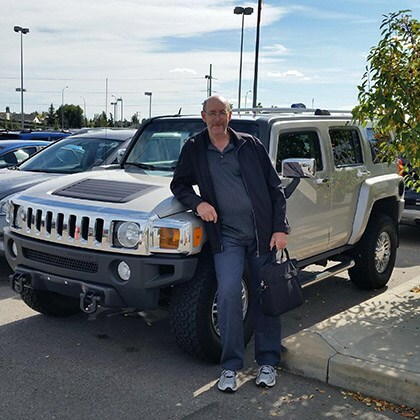 After 3 months of searching, Cavalcade helped Loyd find the Hummer H3 of his dreams. In fact, Loyd came all the way from Edmonton to pick it up. 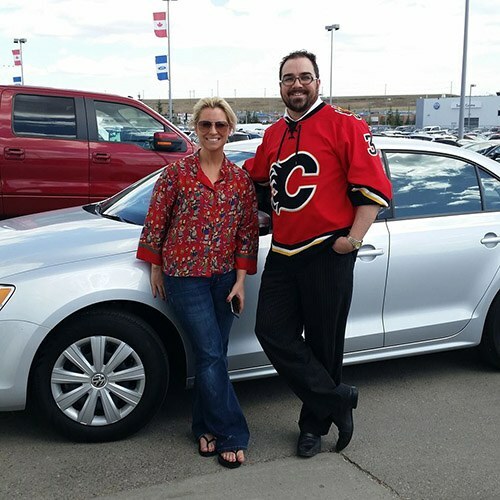 Our trusty salesman Tyler heard Kelley was referred from South Centre VW and made it painless to get her approved immediately for a new VW Jetta! 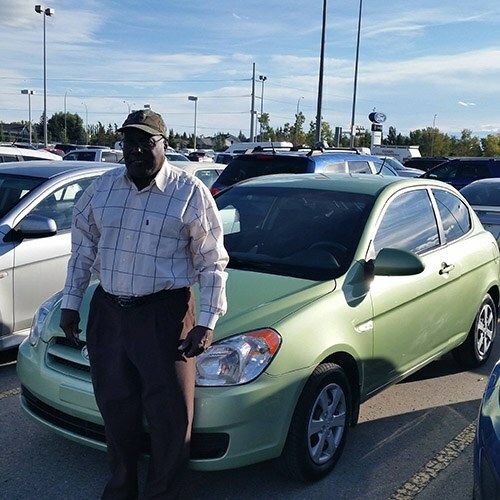 Because of his age, Patrick was having trouble getting approved, but Cavalcade lent a hand where others couldn’t and got him into a sharp Hyundai Accent. Scott experienced a frightening insurance write-off to his previous vehicle with dash-cam evidence to show. 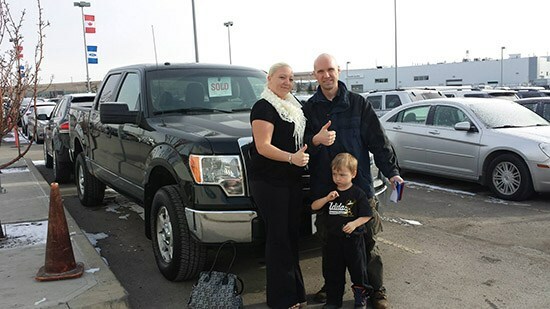 We’re glad he wasn’t injured in the collision and saw him off with an impressively equipped 20112 Ford F-150. Sabatee couldn’t contain her excitement from receiving her first vehicle with us after being turned down by other dealerships. 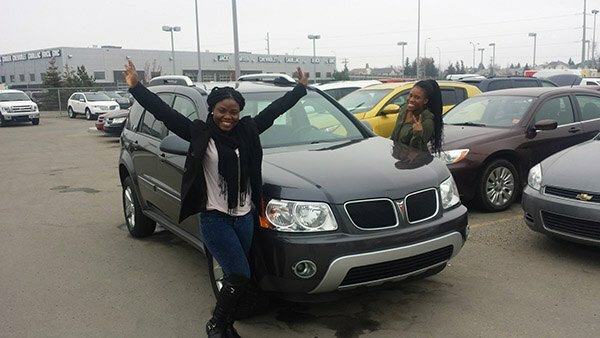 We couldn’t be happier for her taking the keys to her Pontiac Torrent! We truly enjoy making our customers and their families happy and the Watsons are no exception. 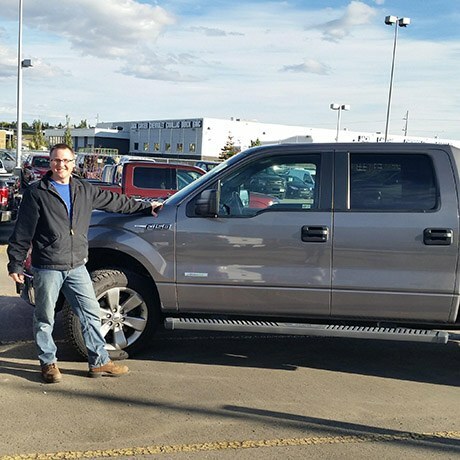 They have always been involved, loyal customers with our company and returned from Edmonton for a second vehicle with Cavalcade – a 2012 Ford F-150! 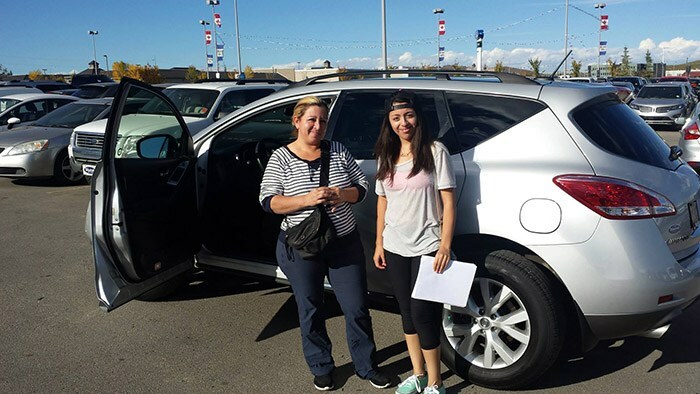 This was Ileana’s second vehicle with Cavalcade and because we’re a family, she heard about it from a family referral. We were able to upgrade her from an Altima to a Murano.